Mankind has erected a mass of boring and simply uninteresting monuments. However, few of the actors have been honored with a monument. In fact, more recently, the acting profession, to put it mildly, was not at all prestigious. Indeed, not prestigious so much that there was a tradition of burying actors outside the cemetery fence. Why? According to one version, this is due to the prohibition of the church to portray the lives of others. According to the Christian world view, every person has been given one life since birth. So, one needs only to live his own destiny, and not to depict other people. Besides, according to the church teaching, trying on the stage different images, the actor not only tries other people’s destinies, but also takes the sins of other people. Therefore, plays along with the antichrist, and thus, sinks to basest sins. Despite the roles that the actor played in the performances, after his death (along with suicides and people who died from an alcohol overdose) they were buried only outside the cemetery. The church believes that the actors even during their lifetime voluntarily killed their souls. Ivan Onufrievich Sukhozanet (1788-1861) – Russian military engineer, general from artillery, director of the Corps of Pages (1833-36). Under Nicholas I was in charge of the system of military education. The brother of the military minister N. O. Sukhozanet, the owner of the house on Nevsky Prospekt. General Suhozanet was twice married. His first wife – Reina Ivanovna Godymin-Belozor (1789-1823), their two daughters died young. The development of memorial sculpture and small architectural and memorial forms has never been a separate process, inherent only in this genre. 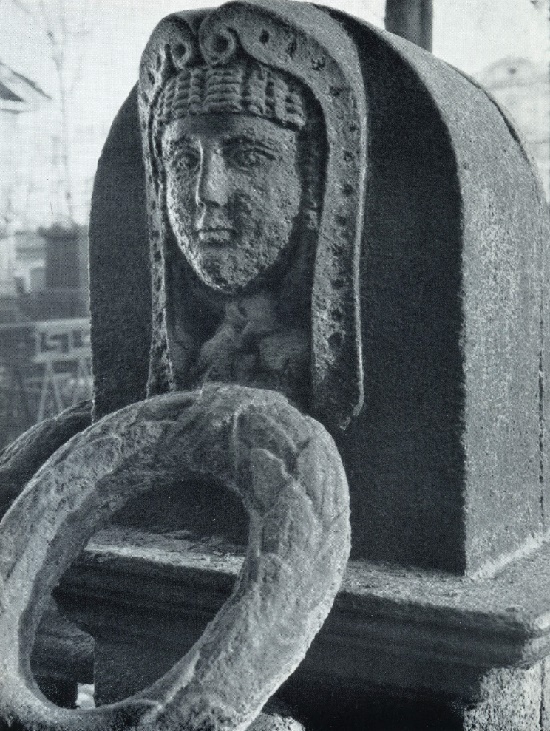 Throughout its path, the artistic tombstones developed in the general channel of national Russian art, in a single stylistic framework, only slightly behind the pace of the development of civil monumental and decorative art. Rather, a little longer lingering on the positions of the previous period. The largest and most authentic singer of the elegiac theme, who dedicated all his long life and great talent to the Russian memorial art, was Ivan Petrovich Martos (1754 – 1835). This genre became the main one in his work. A convinced and consistent representative of classicism, he studied masterpieces of ancient art during his stay in Italy. However, the sculptor did not follow the path of repeating the seen samples, although he paid tribute to their perfection. 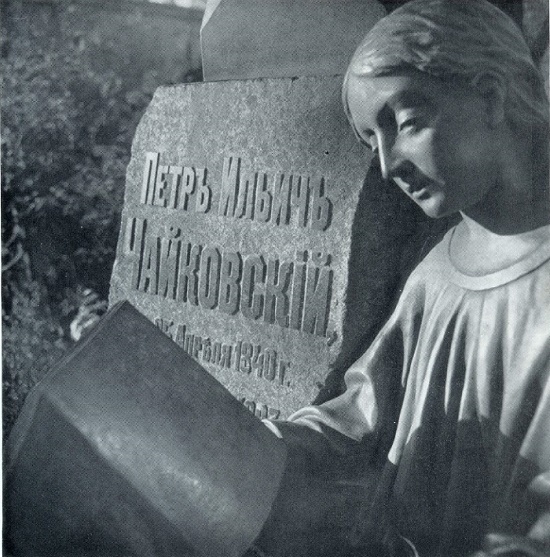 He developed his own type of Russian tombstone, using the tradition of antiquity as the basis. The memorial heritage of Martos is great – over twenty tombstones. Like no other, he was able to convey the deepest emotions. Under his chisel they are always humanly sincere. In the works of Martos, there is no sense of despair, characteristic to the most of the sculptors of the genre of cemetery sculpture. In creative searches, this remarkable artist strove to deep comprehension of complex human feelings. In addition, he fully used the plastic form, but never allowed oversaturation of its composition. Meanwhile, Martos masterfully solved the problem of volume, achieving in its construction the logical clarity and refined simplicity. From a city monument or from an ordinary memorial plaque, which has historical and documentary significance, the grave monument differs above all in a certain emotional mood. The artistic tombstone “enters into communication” with the person approaching it and requires from him a certain concentration. The intonation of the perception of the monument is usually individual and, as a rule, lyrical, intimate. This gives the monument a special force of influence, and creates around it an atmosphere of a peculiar mood that cleanses the soul. Noteworthy, talking about the departed, the monument always refers to the living. In sculpture and memorial relief, there are often two indispensable allegorical images: Genius, the messenger of death, and the mourner. 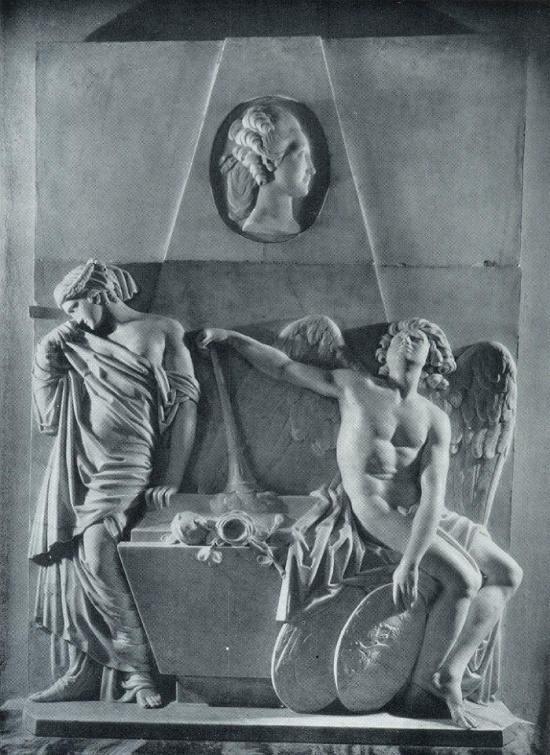 In the era of classicism, these figures were of importance to the all-European memorial symbol. They are replete with both Russian and Western ancient cemeteries. There are many variations of the image of the mourner, including the Russian, however, characterized by a peculiar characteristic. 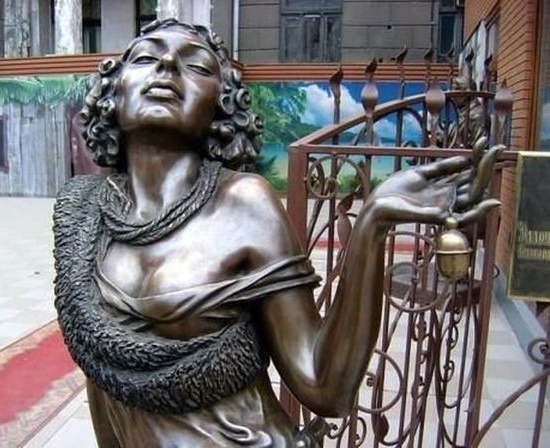 In the Moscow interpretation, it is usually far from the ancient images and, rather, reminds Russian girls of the early nineteenth century, slightly provincial, but very poetic. In addition to the well-known arsenal of ancient allegories, both in Russian and in Western symbols formed their allegorical forms and images. 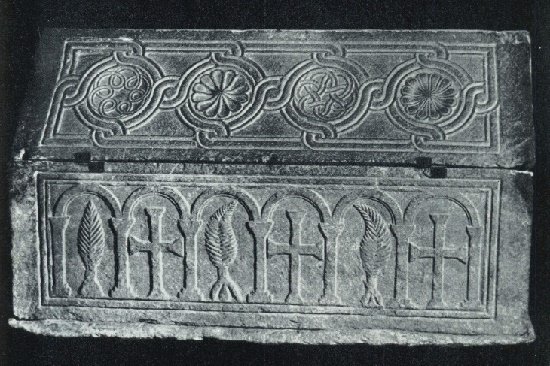 Ancient Rus knew certain types of tombstones in which co-existed varieties of architecture of small forms and applied art. Since the XVIII century the tombstone was a synthesis of sculpture and architecture of small forms. Sometimes it also included a mosaic and a mural. Sculpture was usually the composition of the allegorical statues or a portrait of the deceased. Besides, in the memorials of this period there were other genres. So, in individual reliefs, you can find elements of the landscape, and everyday scenes, and even historical scenes. In addition, various heraldic and allegorical signs characterizing the personality of the deceased. Accordingly, the graves of the princes of the nobility began to be performed in tombs, sarcophagi, stone, brick and wooden. Sometimes built in the churchyard, and later even transferred to temples. The most significant monument among the Kiev sarcophagi is rightly considered to be the marble sarcophagus of the Grand Duke Yaroslav the Wise (978-1054), whose reign continued and reached its highest point the heyday of Kievan Rus. The creation of this sarcophagus dates back to the 10th-11th centuries. Some of the most spectacular buildings of the architect Carlo Rossi are the buildings of the Senate and the Synod. The ensemble consists of two buildings connected by a majestic arch decorated with the picturesque sculptural group “Piety and Justice”. In fact, it symbolizes the unity of the church and the state, giving the buildings even more splendor and elegance. 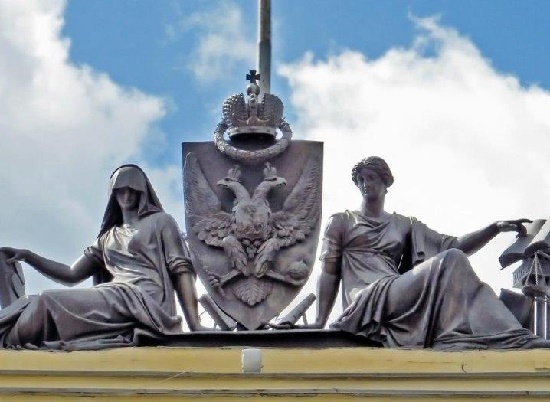 Vasily Demut Malinovsky, in co-authorship with Stepan Pimenov, Nikolai Tokarev and Pavel Sokolov, created monuments reminding unfaithful about the punishing sword of justice. Works by Russian sculptor of the Empire style Vasily Ivanovich Demuth-Malinovsky (1779 – July 16, 1846) decorate St. Petersburg buildings and squares. In particular, the Kazan Cathedral, the arch of the General Staff, the Mikhailovsky Palace, the Mining Institute, the Narva Triumphal Gates, and the building of the Imperial Public Library. Besides, his works include the marble bust of Emperor Alexander I, preserved in National Library and the monument to Vladimir the Great in Kiev.